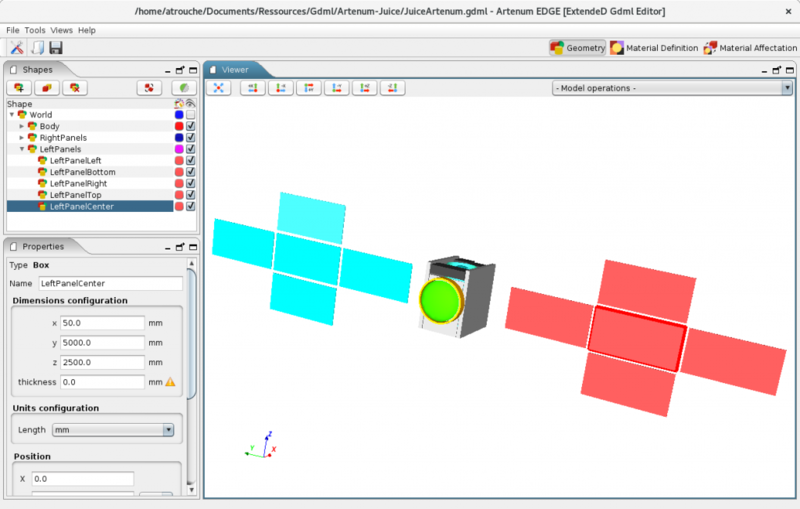 EDGE (ExtendeDGdml Editor) is an easy-to-use GDML editor to load and edit GDML geometries developed by Artenum. You can find more informations on EDGE in our DOP (Detailed Offer and Pricing) or by contacting us. 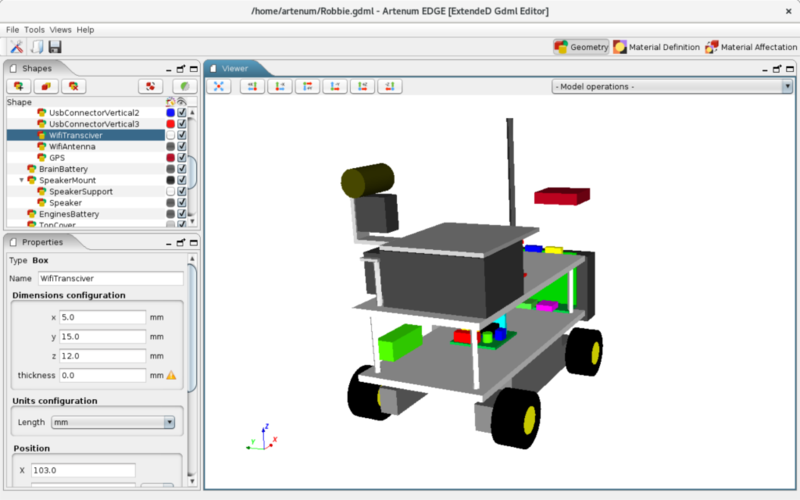 The GDML format (Geometry Description Markup Language) is used by the Geant4 simulation tool kit, the reference solution for particle-matter interaction. EDGE has been designed with the idea to facilitate the edition or creation of GDML files. With this software, users can create/load/edit GDML files and save them with a real-time 3D visualization. EDGE is powered by Keridwen, the Integrated Modeling Environment (IME). EDGE also allows you to import pre-existing GDML defined geometries and integrate them as sub-elements of the edited geometry. Volume and total mass computation, taking in count the volumic mass of each element. EDGE allows to edit and attribute material properties on each geometrical elements in a simple way. From existing GDML defined materials. A CSG-to-Brep decomposition function allows to export GDML based geometries to equivalent ones in Gmsh GEO format, in order to open interoperability towards other simulation models, industrial CAD editors and meshers. You can contact us to get an EDGE license.